The second in a four-part series interviewing editors that run their own imprints. worked for many top publishers. Anne was publisher of Apple Soup Books at Random House, spent a decade at Simon & Schuster, where she started her first imprint, Anne Schwartz Books. In 2005, she returned to Random House with her partner, Lee Wade. 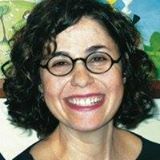 Currently, Anne Schwartz is VP and Publisher of Schwartz & Wade Books, an imprint of Random House Children’s Books. She has worked with such acclaimed authors and illustrators as Ian Falconer, Patricia C. McKissack, Chris Raschka, Candace Fleming, Deborah Hopkinson, Jonah Winter, Jenny Offill, Paul O. Zelinsky, and Sophie Blackall. 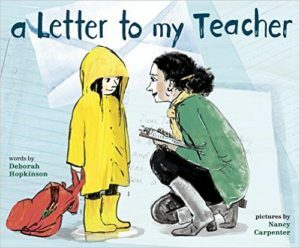 The picture books she has edited have received many awards, including the prestigious Randolph Caldecott Medal, and have appeared on bestseller lists around the country. You know Olivia? Yes, of course, that Olivia! Those are the kind of picture book classics that Anne Schwartz finds, believes in and shepherds. Picture books are all about distilling a story to its very essence—not one word more, not one word less. 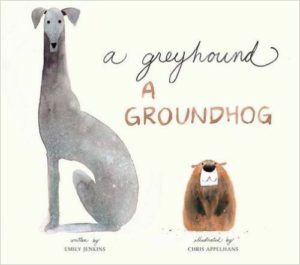 No one in the industry understands that process more than Anne, so I thought I’d ask her to complete seven sentences about editing picture books with just a word or two (OK, maybe three, four or five, but still, you get the idea.) Anne’s short, sometimes surprising answers are in red. they are all-enveloping. They transport me to a different place. approach each manuscript, each sketch, with a fresh eye, and treat it as the unique creation that it is. understanding an author’s and/or illustrator’s intention, and helping them fully realize it. are revolutionary in some way, big or small, different than anything I’ve read before. Thanks to Anne for filling in the blanks and teaching us a thing or two about the kinds of picture books she loves to build. P.S. Many thanks to Schwartz & Wade for publishing one of my favorite novels for children, May B. by Caroline Starr Rose. “Maybe” if I read it enough times (I’m on at least my sixth time through) it will someday teach me how to write a novel of my own. Anne Schwartz, Barb Rosenstock, Brian Pinkney, Candace Fleming, chris appelhans, Chris Raschka, Deborah Hopkinson, Emily Jenkins, Ian Falconer, imprints, jenny offill, Jonah Winter, nancy carpenter, Patricia C. McKissack, Paul O. Zelinsky, picture books, Schwartz & Wade, Sophie Blackall. Bookmark. I like this editor series! Lovely books to look forward to! Thanks for the insights. More new books to check out! Yes, Deborah Hopkinson is one of my favorite authors! Looking forward to reading these lovely books. Thanks. These books sound wonderful. I really like this editor series. Thanks for doing this. Thanks, Barb, for this interesting series. 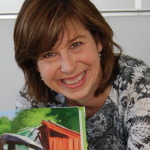 Thanks, Anne, for giving us insights into what you enjoy and look for in picture books. Thanks for the insights I’m gaining from this series. I’m glad I did it, I learned a lot too! Ditto from me. I love this series too! 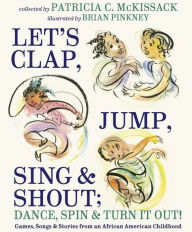 Schwartz & Wade books are delightful! Thanks, Anne!! I love Schwartz & Wade books too! What a great new series! Thanks, Barb. Thanks for reading, Carrie, Allyn Johnston from Beach Lane Books is up next! Love Allyn Johnston! Thank you for these posts. Thank you for these posts. Very informative and fun.